Bramley and Gage – a company that is making a bit of a scene in the bartender arena. Despite being around for over twenty years, bartenders are taking notice of their thirteen strong portfolio, using the brand within new cocktail creations and simple serves. But who are Bramley and Gage? Back in the mid 1980’s, Edward Bramley Kain and Penelope Gage started experimenting in the kitchen of their South Devon farmhouse with strawberry, raspberry and blackcurrant liqueurs. Using fruits from their fruit farm, the recipes they were creating followed the traditional French method of maceration. Going traditional became a success, and they started selling their products to local off-licences, delis and tourist attractions. Ten years after starting up, Edward and Penelope sold the farm and moved to a more suitable premises with its own bottling line. 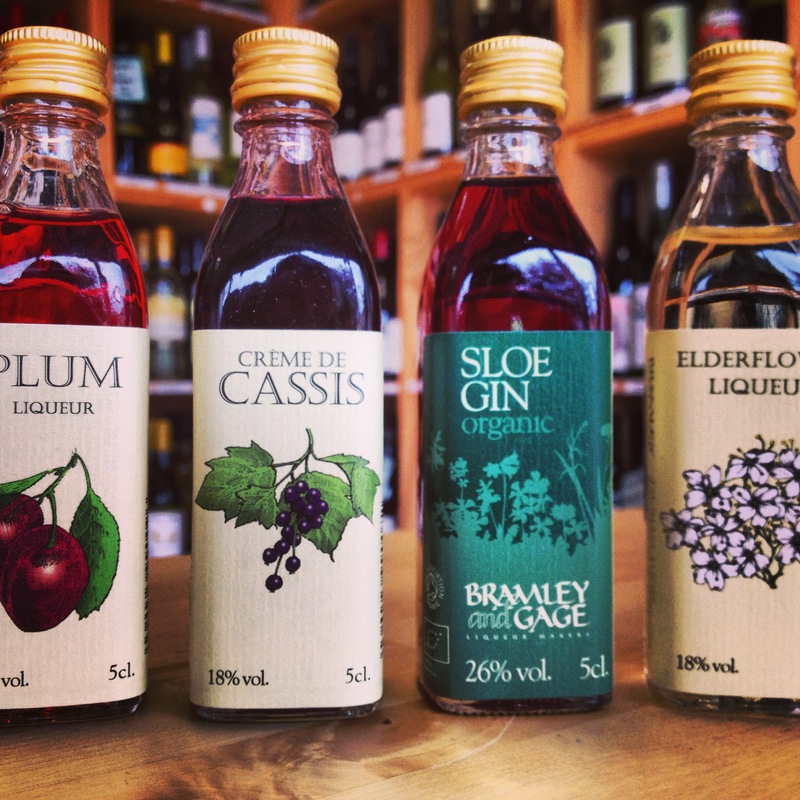 Using locally sourced fruit, and all created by hand in small batches, the Bramley and Gage range falls under both fruit gins and liqueurs, with new lines being brought out as they experiment with the fruits of Gloucestershire by the team of Michael and Felicity (son and daughter of Edward and Penelope). Soft plum notes on the nose but becomes rather sharp once onto the palate. Plenty of acidic notes are present on a fairly short finish. Intense blackcurrant aromas on the nose, with a slight sweetness. Soft on the palate with the hit of blackcurrant stepped down a notch. Rather sweet with a lingering finish of currant flavours. Bold notes of sloe berries on the nose, with a rather sharp yet sweet flavour emerging on the palate. Dark cherry flavours come through, with subtle dry hints of juniper. Very floral with lots of sweet elderflower aromas on the nose. A blend of citrus and elderflower on the palate creates a long yet slightly dry finish. Fresh. Shake the Sloe Gin & lemon juice with ice and strain over fresh ice into an ice filled glass, top with soda and float the blackberry liqueur. 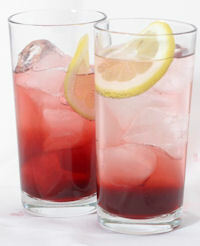 Garnish with fresh blackberries and a lemon slice. 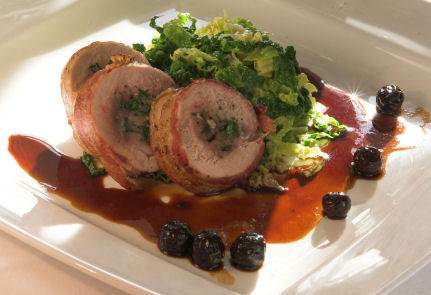 Place the minced meat onto the centre of the pheasant breasts and then roll them up in the pancetta or streaky bacon. Pan fry in butter to get the bacon coloured and then place the pan the pre-heated oven 5 minutes. Remove the breasts to a warmed plate to rest for 2 minutes then slice. Meanwhile. make the gravy in the pan used to cook the breasts. On the hob, sprinkle a dusting of flour over the hot fat and meat residue and leave to brown then add stock and Sloe Gin and whisk until smooth. Serve on buttered savoy cabbage or kale and dress with the rich gravy. Accompany with a few roast potatoes and seasonal vegetables. Fantastic and very British! And you’ll be drinking award-winning spirits too as Bramley and Gage have been given many awards from prestigious food and drink competitions, including Taste of the West, the Great Taste Awards, the Quality Drinks Awards, the International Wine and Spirits Competition. Worth a purchase for your cabinet. And while your at it, grab a hold of their 6 O’clock gin too!